I have recently read John Brown of Haddington’s booklet An Apology for the more Frequent Administration of the Lord’s Supper: with Answers to the Objections Urged Against It (Edinburgh: Printed by J. Ritchie for Ogle & Aikman, Edinburgh, M. Ogle, Glasgow and R. Oble, London, 1804). According to WorldCat there are only about 3 copies of this booklet in North America so I was pleased to get a fiche version which could be borrowed. 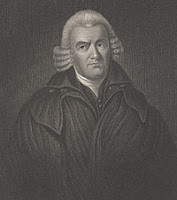 This is the John Brown whose effort to teach himself Greek is recounted by A. T. Robertson in his “big grammar.” Joel Beeke and Randall Pederson in their fine intro to Brown state, “Eighteenth-century Scotland produced many noted ministers, scholars and educators, but none greater, or so greatly loved, in his own day or afterwards, as John Brown of Haddington” (in The Systematic Theology of John Brown of Haddington ). I am pursuing the possibility of having this booklet republished in modern font and with some explanatory notations. Did you ever discover a digital copy of Brown on Frequent Communion? Google books shows that it was appended to his Christian Journal, but not in the digital editions I have been able to trace. What does it mean in the Bible? but what does the Bible say about communion? in order to fulfill prophecy. A bone of him shall not be broken. This is my body which is broken for you? These are excellent quotes – do you recommend Brown's Systematic Theology? Great quotes. You've gotta love those Scottish divines! Thank for stopping by Chris! Yes, Brown mentions Calvin. Calvin also explicitly called for weekly communion in one of his tracts. This is one practice he was unable to convince the other leaders to adopt. Calvin was also pretty strong also in saying that we should observe it more often. Institutes, IV.8.44, page 1422.